If you plan to drive on toll roads during your next vacation, take some time to find out how to pay your tolls. Planning ahead will help you save money, and knowing what to expect will reduce stress. Here are some common toll payment options. You can still pay many tolls with good, old-fashioned cash. Some toll booths are staffed by cashiers who can make change for you, while others are automated and accept exact change only. For cashier-staffed booths, simply take the toll ticket when entering the toll road and hand it to the cashier at your exit. The amount due will display on a screen, and you can then hand your money to the cashier. Be sure to take your time counting your change, particularly if the cashier urges you to drive away quickly. In most cases, toll booth cashiers are scrupulously honest, but exceptions do exist. Automated, exact change only toll booths typically employ a basket-like device into which you must drop your toll payment. Be prepared to carry the proper change. In some countries, such as Italy, you can purchase a prepaid toll card (sometimes called a prepaid charge card, even though it can only be used to pay tolls). These cards are available in specific amounts. For example, Italy's Viacard is available in 25 euro, 50 euro, and 75 euro denominations. Prepaid toll cards are a good alternative if you plan to do a lot of driving in a country you are visiting. Toll booth lines for prepaid toll card users are often shorter and you are spared the worry of keeping cash on hand and counting your change. Some toll booths accept credit cards. Paying with a credit card is convenient; you can request a receipt and track your expenses easily. If you plan to pay your toll with a credit card in a foreign country, be aware that you will probably pay a currency conversion fee, depending on your credit card company's policy on foreign currency transactions. Have a backup payment plan ready to go in case your credit card cannot be read. In addition, some toll systems only accept credit cards with chip-and-PIN capability, while others will accept chip-and-signature credit cards but not swipe-and-signature cards. 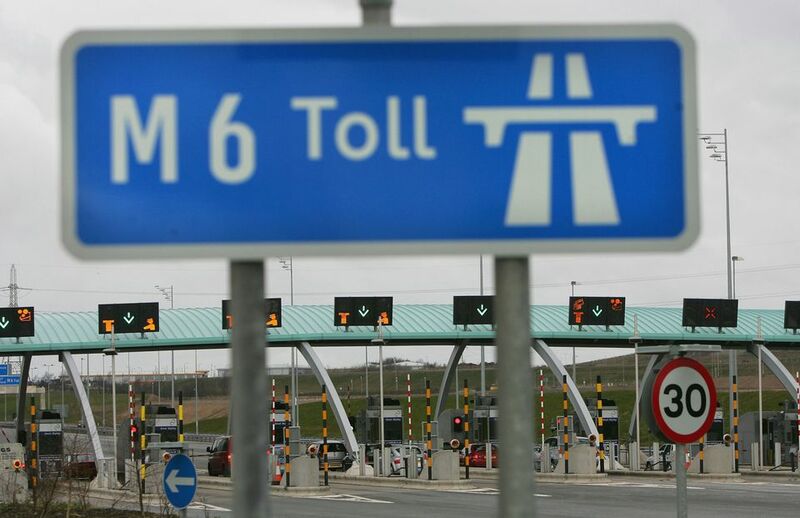 Some countries, such as Ireland, are turning to electronic systems that record your license plate number as you pass a tolling point. If you do not have a transponder or prepaid account, you must pay online or by telephone within one day of your journey. The most popular option for drivers who regularly pay tolls is the electronic transponder. In some countries, transponders work on all toll roads. In others, including the United States, transponders work in specific regions and are issued by agencies under contract to state transportation departments. Typically, a transponder is tied to one or more license plate numbers. You can prepay your tolls by check or debit card or authorize automatic charges to a credit card. The toll collection agency connects your transponder to your payment information. As you pass through a toll booth, the amount of the toll is deducted from your transponder account. Transponders are extremely convenient and can save you money if you do a lot of driving on toll roads. In some places, toll amounts are slightly lower if you use a transponder. However, some US states charge a monthly maintenance fee for transponder accounts, so you will have to do the math and determine whether a transponder will actually save you money. If you are renting a car in your own region, you can usually use your transponder if you add the license plate number of your rental vehicle to your transponder account. Remember to take it off after your trip. Rental car companies are increasingly offering transponders as an add-on to the rental contract, similar to the way they offer car seats and GPS units. This can be a very convenient option. You will need to determine whether the cost of renting the transponder will be less than the cost of paying your tolls in cash, provided, of course, that cash is accepted on the roads you plan to drive. High Occupancy Toll lanes, or HOT lanes, are quite popular in some parts of the United States, including northern Virginia, Maryland, and southern California. If you have three or more people in your car, you can use the HOT lanes without paying. You can also use them if you have only one or two people in your vehicle, provided you are willing to pay the toll, which varies by time of day and traffic flow. In either case, you need an electronic transponder with a switch that indicates your carpool status. Express lanes work in a similar fashion, with varying toll rates. Some express lane systems, such as Maryland's Intercounty Connector, do not offer a carpooling option; everyone pays regardless of vehicle occupancy. Some express lane systems offer video tolling as an alternative to using a transponder, but the video tolling rates may be considerably higher than standard tolls.